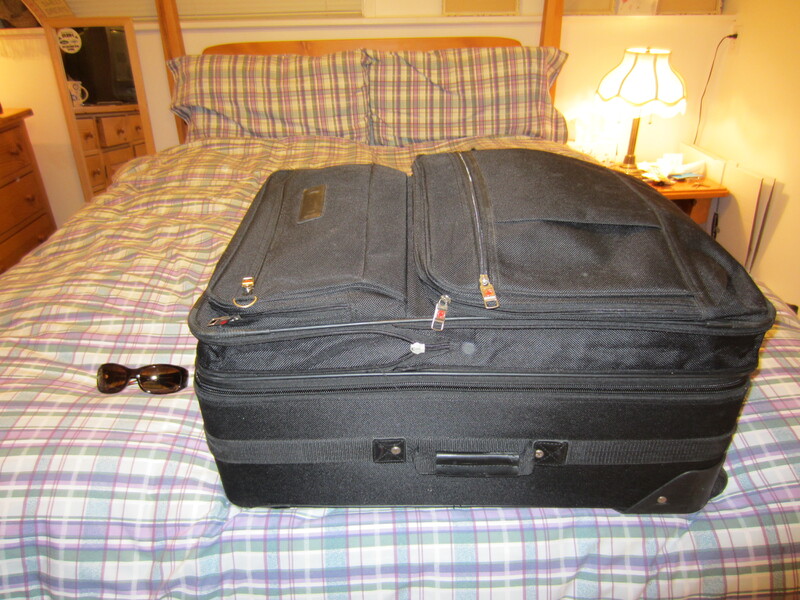 Instead of doing anything even mildly interesting tonight, I am now (very proudly) half packed!! I decided to start with the easy stuff, my clothes. Packing for two weeks, a month, half a year or longer is basically the same thing, as long as the climate doesn’t change! Now onto the dive gear . . . this will be a bit more challenging! 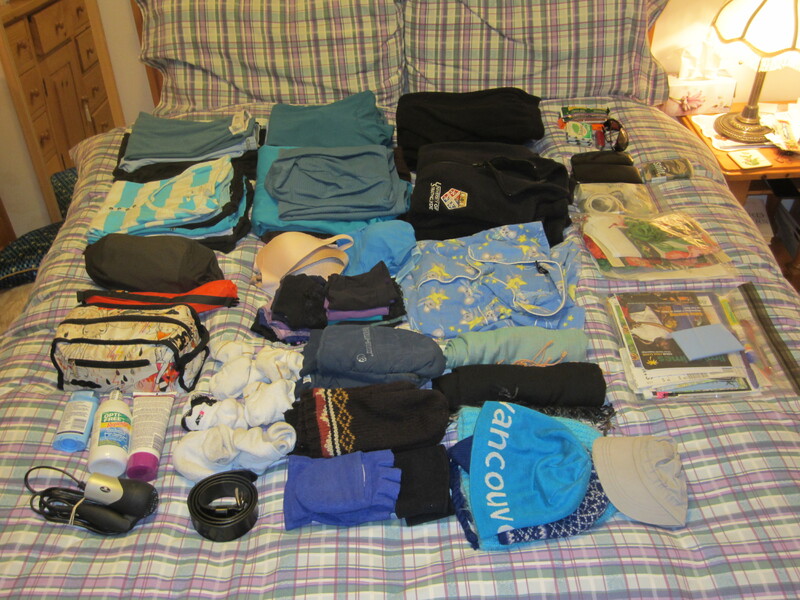 This entry was posted in Canada, Diving, Pre Trip, Tips from The Travelling Twin and tagged diving, packing, suitcase. Bookmark the permalink. 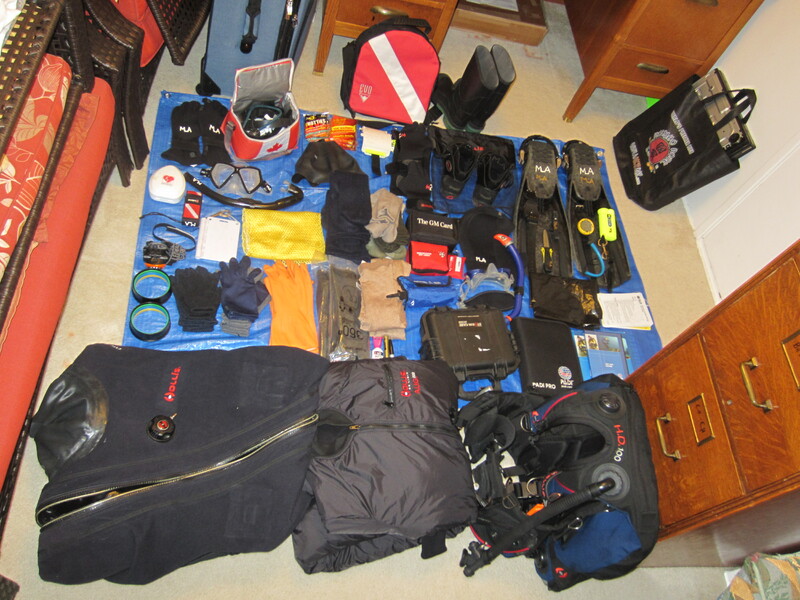 Packing for any specialized life-support activity always means you take so much stuff, doesn’t it? And it is always fun trying to keep the weight under 50 pounds. One thing I learned – I am forced into traveling ultra-light with my normal gear to compensate for the specialied stuff! 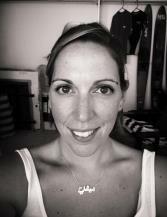 ladylight – you are so right!! Unfortunately, I’m waaaay over 50 pounds for this trip because of the gear-intensive nature of it. If I were just travelling in the same region for the same amount of time (and not diving), I feel confident I could do it with one bag (especially after taking a quick look through your blog, you are my hero, by the way!). For this trip, even though I am flying back, I am fortunate enough to have the use of a verrry large truck as transportation – I’ll let you know how it goes!